Tradeoff! 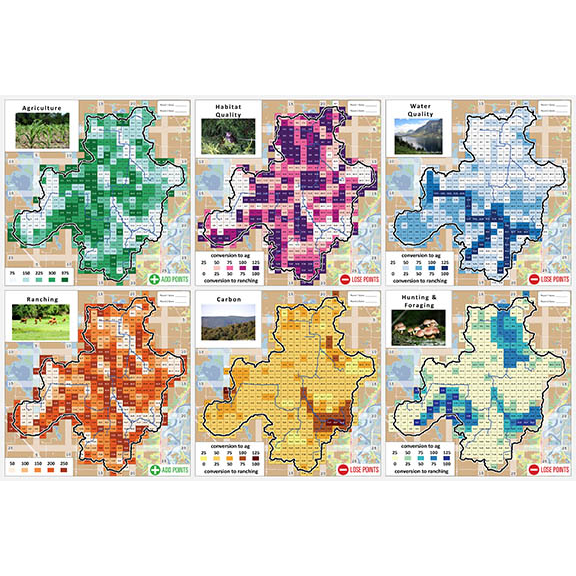 is a series of mapping games developed by the Natural Capital Project that simply introduce concepts related to nature’s benefits to people, while mirroring analytical approach with InVEST. 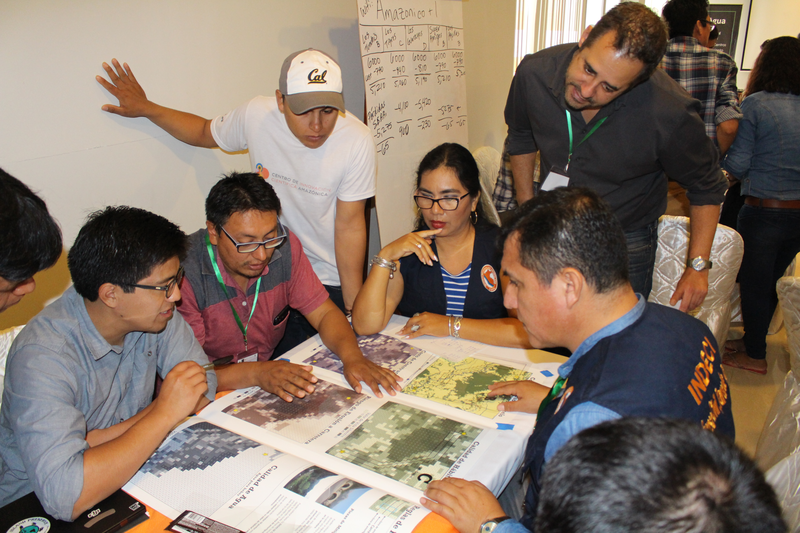 The process of preparing spatial data, running software tools, and appropriately interpreting results can be challenging; Tradeoff! represents a more effective means to convey our approach to a broader audience, especially those who are not computer savvy or experience scientific modelers. Currently, four versions of Tradeoff! 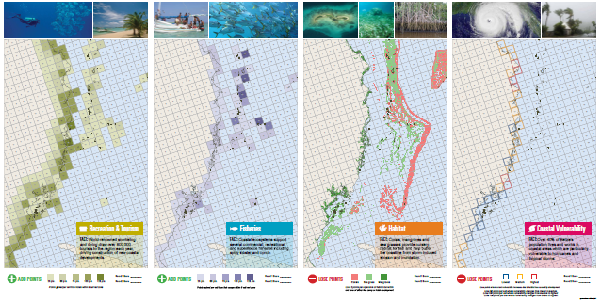 are offered: 1) Best Coast Belize (coastal zone management), 2) Tradeoff! 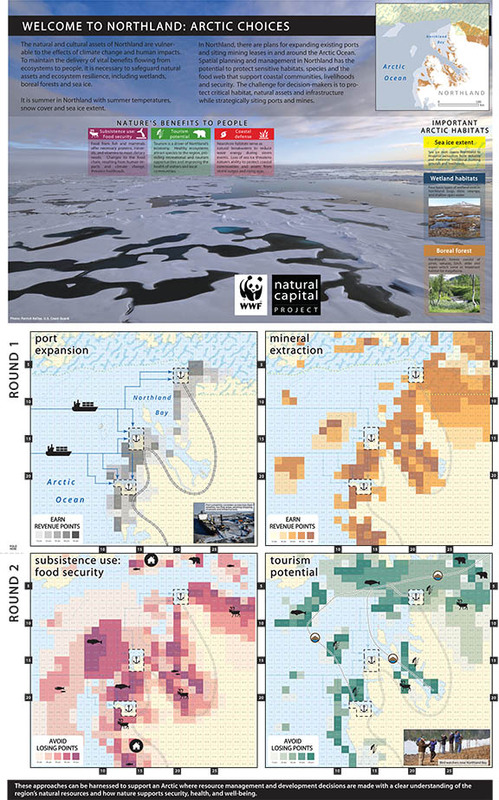 Agriculture Edition (terrestrial/freshwater services), 3) Northland: Arctic Choices (arctic development), and 4) Roads to a Resilient Future (linear infrastructure development). Tradeoff! is intended to be played by multiple teams of up to 8-10 people. Each Tradeoff! version is played in two rounds. During the first round, teams place development pieces (e.g. hotels, farms, port expansions, roads). 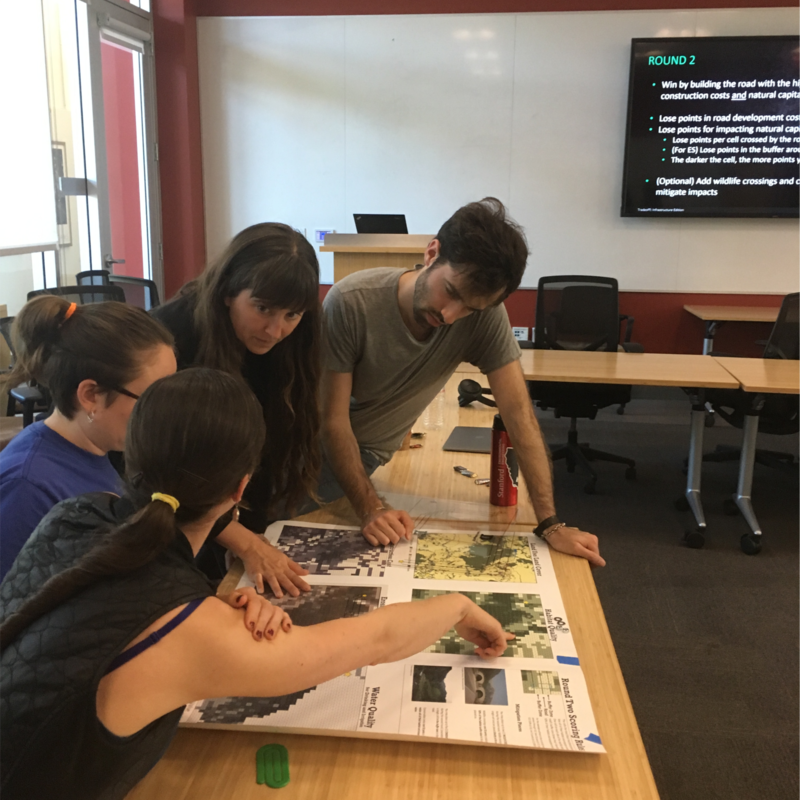 Between rounds, teams are introduced to the concepts of natural capital and ecosystem services and equipped with additional maps of ecosystem services for their gameboards. 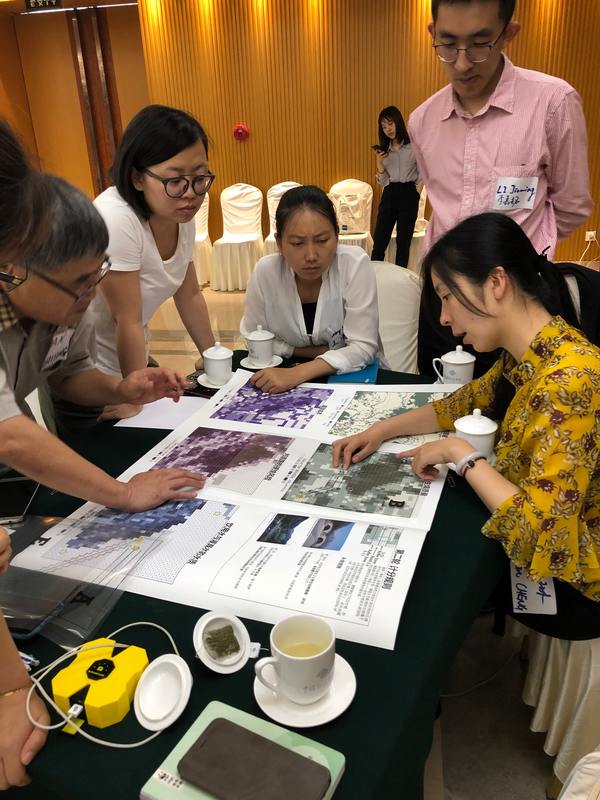 In the second round, teams then make decisions about replacing development pieces and adding other conservation pieces to help mitigate the costs of development. Tradeoff! 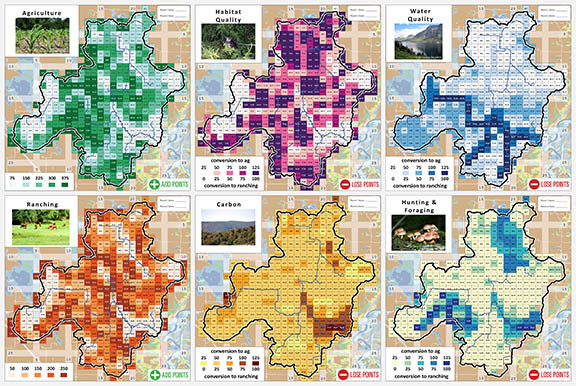 operates on the premise that if we can bring more information about natural capital into decision-making, then better decisions will be made, both for people and nature. 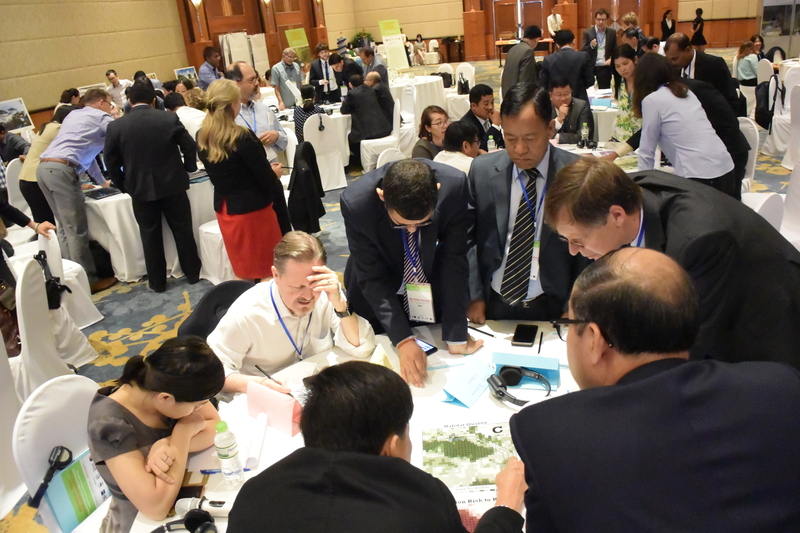 The game is a simple, introductory way for players to interact with the potential trade-offs and synergies between traditional development and natural capital values. 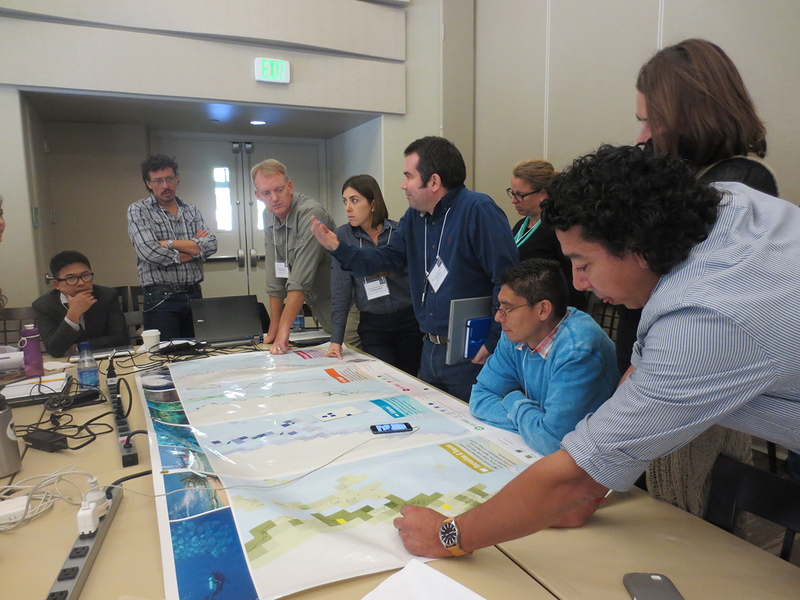 To simulate group and cross-sector collaboration and decision-making. Authors welcome small contributions to our game development program, but share materials for free. $100 contribution requested but not required. Gameboards (print on large-format sheets), gamepieces, scoring sheets.